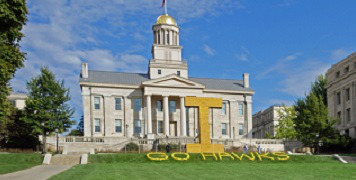 A White-privilege workshop that was scheduled to be held at the University of Iowa (UI) later this month has been canceled after stakeholders addressed concerns about the workshop. The university has held similar events in the past, however this workshop was planned by staff, faculty and a committee of students with help from the Diversity Resources Team in the Chief Diversity Office. “The workshops first began in the spring of 2017 and were developed at the request of faculty and staff members who identify as white and had attended other training sessions related to race and specifically wanted an opportunity in which to discuss ways to support inclusiveness,” said UI spokeswoman Jeneane Beck. One of the reasons that the university canceled the workshop was because of backlash from lawmakers and news organizations, Beck told The Daily Iowan. For instance, Breitbart News Network, a right-wing news and commentary website, wrote about a white-privilege workshop at the campus in 2017. “In preparing for this year’s workshops, it became clear the university needed to do additional work to educate our broader community and stakeholders about the purpose of these events, which has been misconstrued by online publications,” she said. Diversity at UI is an issue that the institution is committed to addressing, Beck said. “We will continue to work on building awareness and giving our campus community the skills needed to create a more diverse, equitable, and inclusive campus,” she added.